Natural disasters remind us that people are not the only ones in danger. Pets are also caught up in the destruction and chaos that often accompanies tragedy. 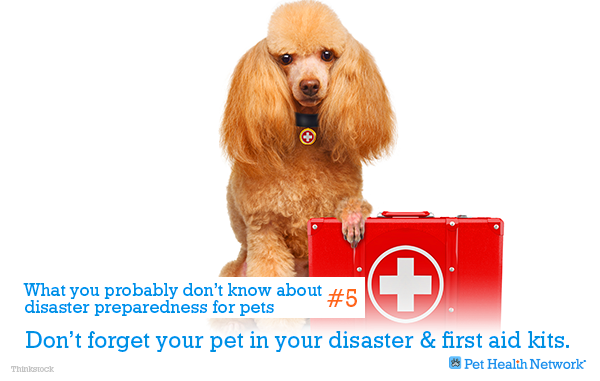 These five tips will help you be better prepared to protect your pet in the aftermath of a disaster; make sure to talk to your veterinarian about what you need for your pet in case of disaster. 1. 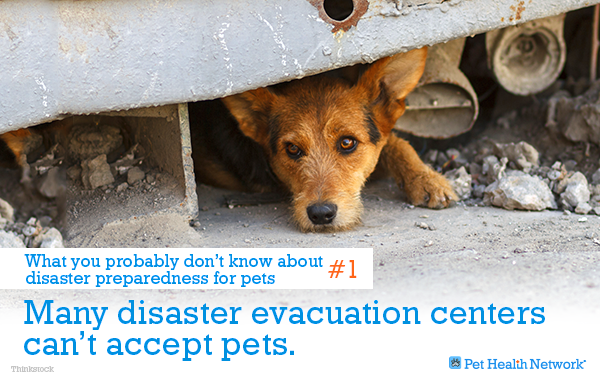 Many disaster evacuation centers can’t accept pets. 2. You may need your pet’s medical records. 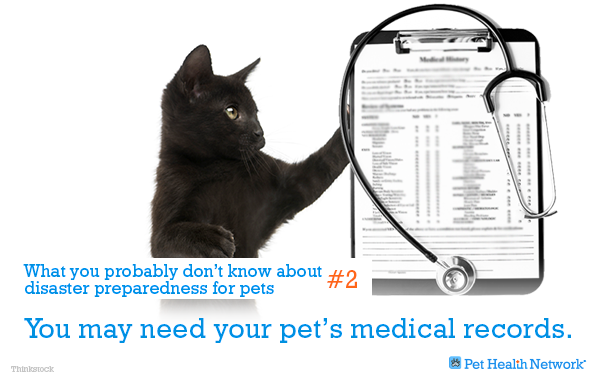 Many pet-friendly disaster shelters require up-to-date, medical records for your pet. Much like signing your dog up for daycare, proof of up-to-date vaccinations will likely be required to ensure the safety of other pets and people. Always make sure to keep a record of your pet's vaccinations handy. 3. 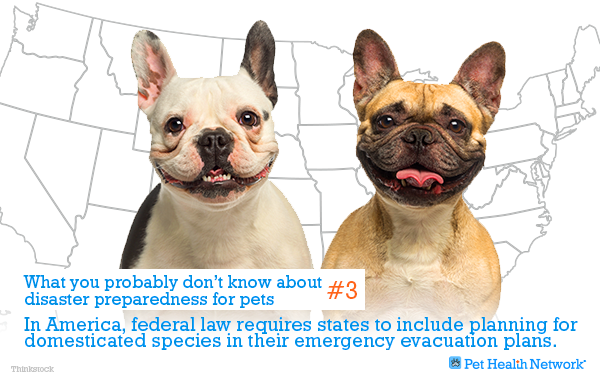 In America, federal law requires states to include planning for domesticated species in their emergency evacuation plans. 4. 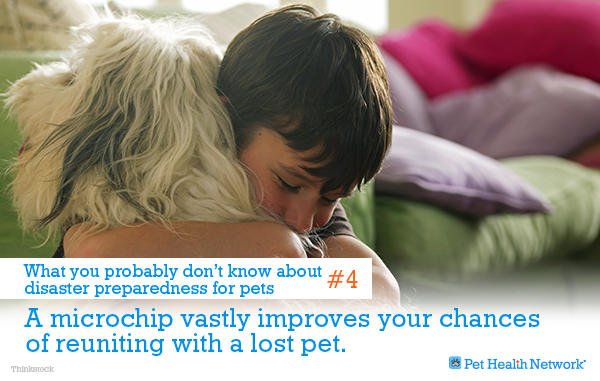 A microchip vastly improves your chances of reuniting with a lost pet. An emergency supply kit is smart; Dr. Justine Lee adds that it's also simple: “Start with a brightly colored backpack…in case of an emergency, you can easily find it in your closet or basement and ‘grab and go.’” The bag should include a leash, an extra collar, a basic first aid kit, and other essentials found here. Dr. Mike Paul adds that you should have an absolute minimum of 5 days worth of spare medication, a few sealed gallons of water and a sealed container of food.